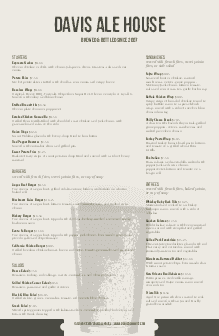 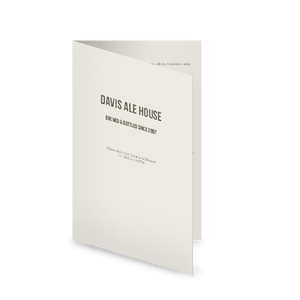 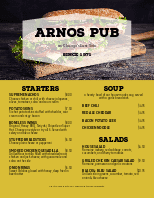 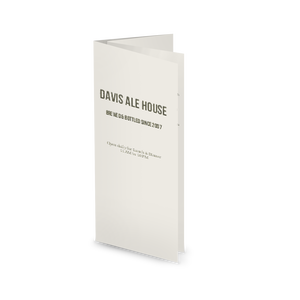 A pub bar menu with a modern design in green and cream. 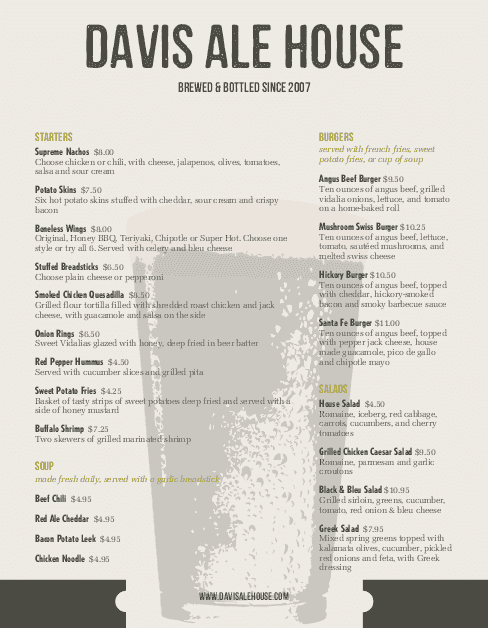 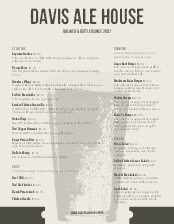 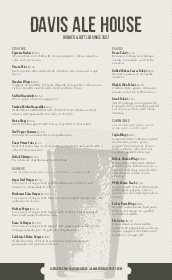 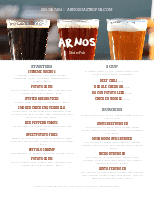 A foaming pint of beer is a background watermark on this versatile bar menu. 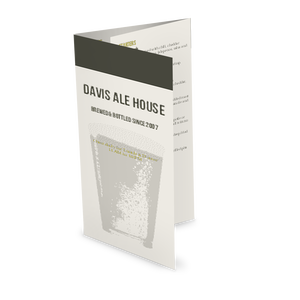 Customize with your pub food to create your own bar menu.